FRAMINGHAM – A 20-year veteran of the Framingham Police Department has been diagnosed with cancer. After being rushed to a local hospital with abdominal pain, doctors discovered a large mass on the intestine of Framingham Police Officer Val Krishtal. Officer Krishtal will undergo several rounds of chemotherapy to reduce the size of the mass, before doctors can attempt to remove it. Due to this prescribed treatment, he will be out of work for an extended period of time, according to Framingham Police officers. 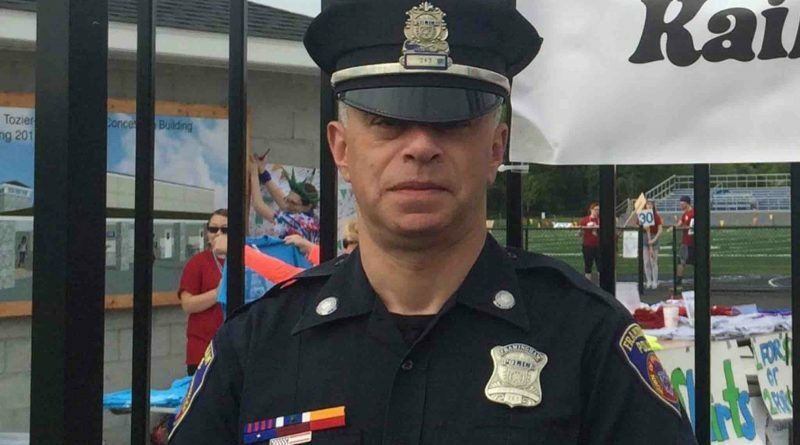 As a devoted father of two young children, as well as being a dedicated police officer, he selflessly gives of himself, wrote the Framingham Police Association is setting up a GoFundMe to help Officer Krishtal. They are hoping to raise $20,000. “Now, our friend is the one in need of some assistance. Any donation is greatly appreciated,” the Association wrote last night in setting up the fund.